I had eye surgery a year ago and could not drive for a few days and so I did a fair amount of walking. I was intrigued by this car which was on my route. I had follow up surgery last week and so was again out walking. I was surprised to find this car still sitting (I took these pictures today). 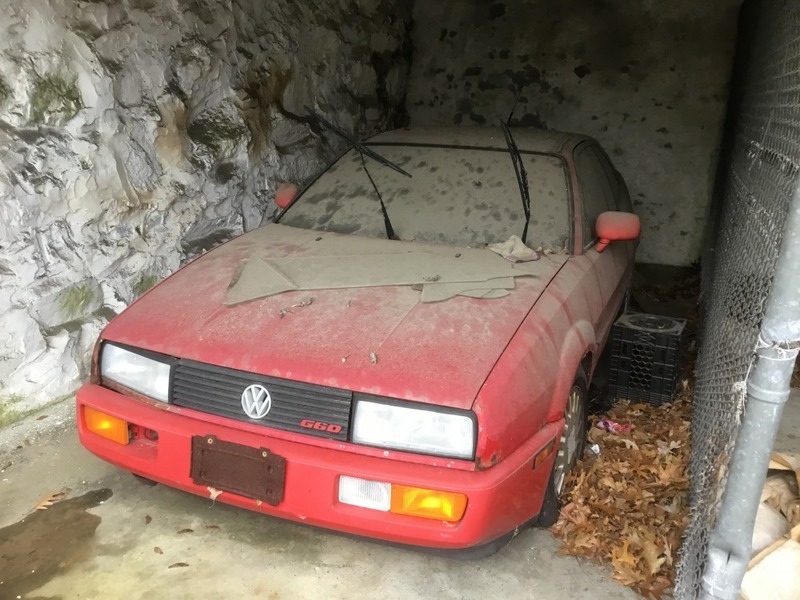 It is not a 2002 and not even a BMW, but I know there are guys on this site who are fans of all German makes, and who doesn’t like a good barn find? I do not know anything about the car, but I am guessing it’s from the 90s with those square headlights. If someone (VW Jake?) wants me to knock on the door and make an inquiry, I am happy to do that. The car is in Boston. (I have neither the space nor skills to pursue it myself). Early 90's VW Corrado G60, the 4-cyl supercharged version. Omg g60 ., worst motor built for vw haha a money pit which is why it looks like it’s been parked for a long time .., but a rare gem as they are hard to find if it has the stock engine .. 150hp super charged 4 cyl , what can go wrong .. 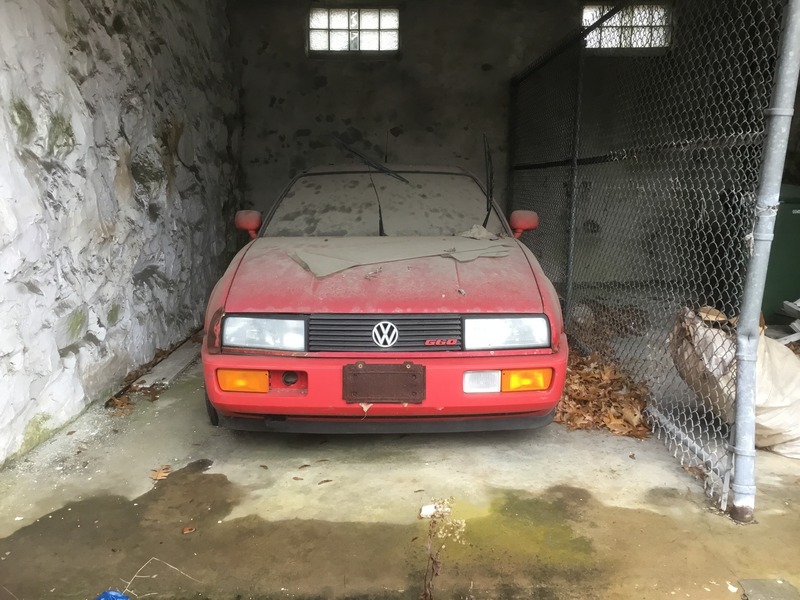 It is not a 2002 and not even a BMW, but I know there are guys on this site who are fans of all German makes, and who doesn’t like a good barn find? Worst motor? LOL. Not by a long shot. They're great until the maintenance requirements are ignored or someone who doesn't know what they're doing (read: almost every kid who ever bought one) monkeys with them. That's when things get expensive. Many of the non-engine bits are common to the Mk2 and the build quality is similar. 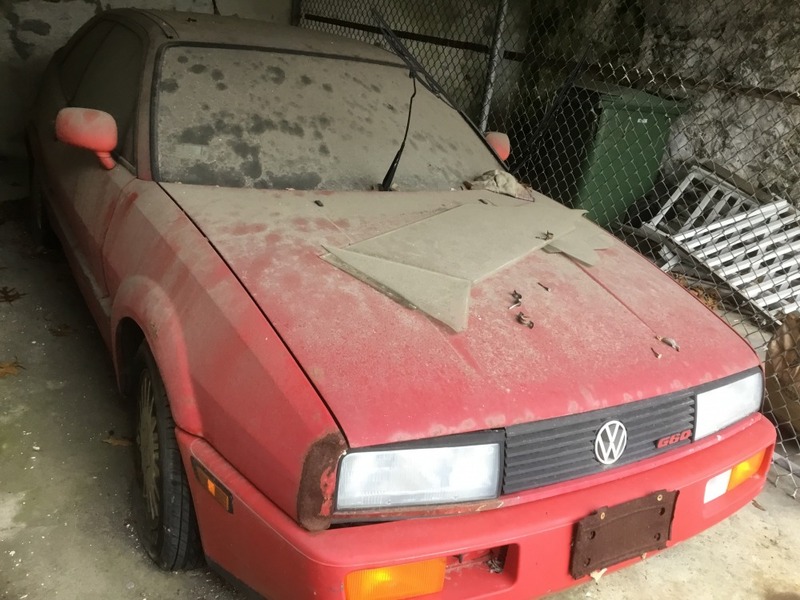 It didn’t have the umph it needed .. it was only built a few years soon after the vr6 took its place .. still a cool car for its history ..
A friend of mine growing up had a Corrado and we had a blast in that car. Some day one will come along and I'll scope it right up. I dreamed of owning a Corrado as a teen. Back in ‘94 when I was shopping for my first car, a used auto lot down the street from me had a MKII Rallye G60. I REALLY WANTED IT. Unfortunately, I was 16 with a part time job at Burger King. I ended up with an ‘85 Honda Civic. I kinda' think if one came up around here now I'd still really want it. Along with what the others are saying, add in the fact that car has been clearly sitting for some time....letting a car sit like that is never good no matter what the car is.